"From the time she first performed in front of an audience when she was 17 years old, singer/songwriter Sara K. knew she wanted to live her life making music. She followed her dream and stayed true to her desire, despite the fact that demand for acoustic solo performers was falling off as the end of the '70s approached. Several avenues remained open to her, including fronting her own band, studio work, and backing country music artists, which she did in her hometown of Dallas, TX." "From the time she first performed in front of an audience when she was 17 years old, singer/songwriter Sara K. knew she wanted to live her life making music. She followed her dream and stayed true to her desire, despite the fact that demand for acoustic solo performers was falling off as the end of the '70s approached. Several avenues remained open to her, including fronting her own band, studio work, and backing country music artists, which she did in her hometown of Dallas, TX. She also found work locally singing jingles. From her childhood years on, music played an important part in her life. Her mother belonged to a choir at church, while her father sang bass as part of a barbershop quartet. She first took up the guitar at the age of 15, although her instrument wasn't the standard one on which most youths begin. 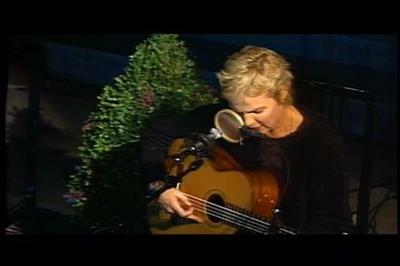 She started with a basic flamenco guitar and added four strings meant for a bass. The resulting hybrid didn't produce notes as low as those normally produced by a bass, yet they were definitely lower than those made by a guitar. After the early years in Texas, she took her band, Sara K. and the Boys Without Sleep, to Los Angeles and New Mexico. Beginning in 1973, she led the band for about ten years and she followed that up by spending more than two years on tour with country singerGary Nunn. The experience was a good one, but she longed to concentrate on crafting songs and performing her own compositions. She settled down in Santa Fe to work on her songs, putting together an album that eventually became Gypsy Alley and was released by Mesa/Bluemoon Records in 1982. The New Mexico Music Industry Coalition honored the release with an award for Best Album. Chesky Records signed her to a contract, and Sara K. went on to release four well-received albums: Hobo, Tell Me I'm Not Dreamin', Play on Words, and Closer Than They Appear. 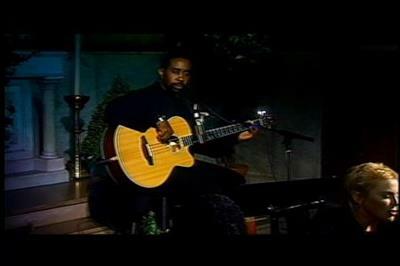 The singer/songwriter toured Germany in 1997 with Hui Cox, an arranger and guitar player. That same year, she also contributed to the soundtrack for The Postman. Two years later, No Cover was issued featuring Chuck Mangione on one of the tracks. The live album was recorded in New York City inside St. Peter's Episcopal Church, making the most of the soaring interior's dynamite acoustics. What Matters followed in 2001." Sara K No Cover 1999 from rapidshare mediafire megaupload hotfile, Sara K No Cover 1999 via torrent or emule, full free Sara K No Cover 1999, Sara K No Cover 1999 rar zip password or anything related.